At Piedmont Moving Systems, our goal is to meet the logistics needs of a variety of customers. For years, we have been providing specialized moving services, so we knew that we already had the drive and skills to accomplish any unique projects successfully. Therefore, we were excited to start developing a customized moving solution when Apple of Fremont reached out to us for help with blanket wrapped transportation services. If you’ve ever set foot in an Apple store, you are familiar with all of the table lined with new products. However, we’re sure that you’re not familiar with the process of how those tables get there. The Apple store in Fremont recently requested assistance with shipping some of their tables back to their manufacturer so that they could be enhanced for the store’s use. The tables are very expensive, so they needed to be treated with extra care during the transfer. 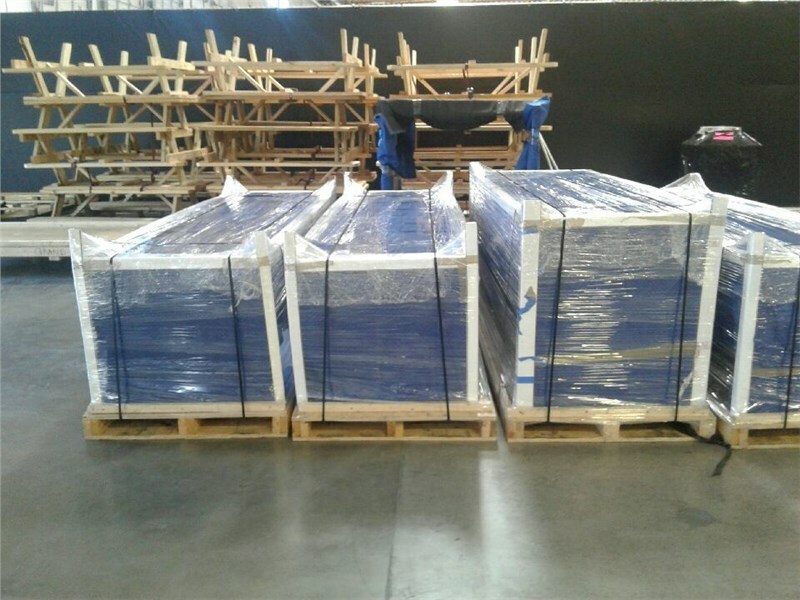 When the tables first came from the manufacturer to Apple, they were completely crated for safe shipment. Unfortunately, Apple didn’t have the time or resources to properly prepare them for shipment back to the manufacturer, so that’s where Piedmont Moving Systems came into play. Apple asked us to carefully package and crate the tables for return shipping. For years, we have been dealing with custom crating for expensive items, so we knew the perfect approach for this unique project. Before we got started, however, we wanted to do our research to make sure we had access to a loading dock. Then, we inspected the items to see if we could blanket wrap them. Once we determined that our process was suitable for the tables, we applied padding and tightly wrapped the blankets around them. From there, we completed the packaging by applying corner board and shrink wrap before we banded each table to a pallet. After all was said and done, we prepared a total of 57 tables for transport on four semi-trucks for transport across the states to the manufacturer. We are proud of the hard work our dedicated movers did to ensure the safety and secure shipment of this valuable cargo as well as the satisfaction of Apple of Fremont. If you would like to request blanket wrapping service for your company, we encourage you to contact Piedmont Moving Systems to learn more about our transportation services. To find out more about any of our other logistics solutions, you can speak with one of our knowledgeable call representatives about the specifics of your project. You can also take a moment to fill out our online form if you want to request a complimentary quote.